Jayme Simpson is a young trial lawyer at Simpson-Myrick LLP (formerly known as Simpson-Moore LLP) in San Diego. She is focused on representing individuals in catastrophic personal injury matters including auto accidents, spinal cord injuries and trucking accidents, product liability, wrongful death, burn injury, slip and fall, brain injury, medical malpractice, construction accidents, sexual abuse, dog bite accidents, motorcycle accidents, premises liability, nursing home abuse, railroad accident and pedestrian injury. Throughout her fast-paced young career, Simpson has handled almost all aspects of civil litigation including depositions, pleadings, motions, hearings, mediations and arbitrations for a number of civil actions. Since the start of her career, Simpson has immersed herself with being a part of the legal community of San Diego, taking advantage of all opportunities to expand her knowledge of civil litigation and develop effective trial skills. Simpson is an active member of the San Diego County Bar Association, Consumer Attorneys of California, the Consumer Attorneys of San Diego and the American Association for Justice. She is also an active participant in the San Diego Inn of Court having successfully completed the evidence course two times and the trial course once. 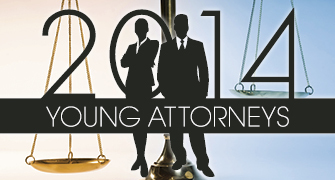 In 2014, Simpson was on the board of directors for the New Lawyers Division of the San Diego County Bar Association. During her term, Simpson successfully co-chaired “BullyProof,” the SDCBA’S community service initiative. BullyProof consisted of training volunteers from the legal community and connecting them with local elementary schools to teach and empower young students on how to prevent bullying. Heading into 2015, Simpson will be a member of the SDCBA’S Forum for Emerging Lawyers Executive Committee, helping in its inaugural year to pave the way for future members. Simpson is also excited to become the 2015 San Diego regional captain of the Consumer Attorneys of California New Lawyers Division. In her spare time, Simpson enjoys outdoor activities including running, hiking and playing soccer and plans to continue these activities into the new year.